Bears. But not OUR bears. The other day I was at lunch with one of my favorite adoptee friends where we fell so easily into the rhythm of adoptee speak. I cannot put into words the catharsis of getting to talk to another adopted woman where you have common ground, an understanding of each other's perceptions of adoption, and a mutual admiration where you know you will not be judged for voicing your experience. 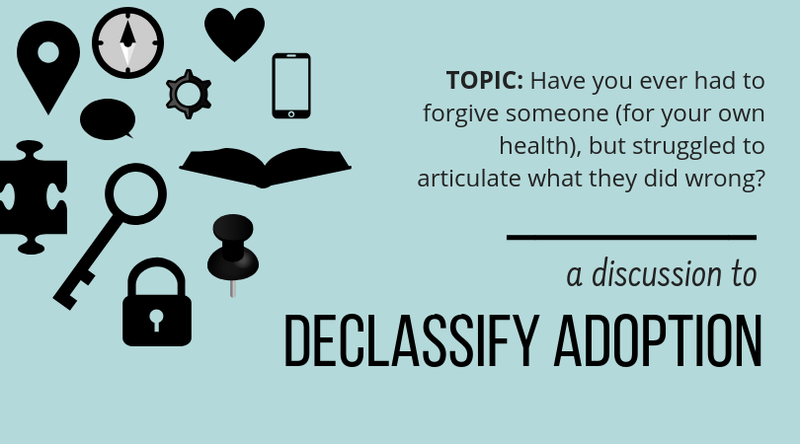 There are no lengthy justifications for each story or opinion you share in these conversations, as an adoptee might find themselves having to do with someone who does not have this shared experience or one like it. You simply talk; you cross over an incredible amount of information in a short period of time without ever finding it daunting. I suspect no one at the surrounding tables or walking by would have any clue or be able to follow the conversation like we could. You talk like two people who have known each other their entire lives. It is simply amazing. You leave happy to have been able to talk to another person about something that a lot of people simply do not understand. One thing we talked about was how, despite being in reunion, it was still very important to both of us to have any document and any piece of our history pre-adoption. 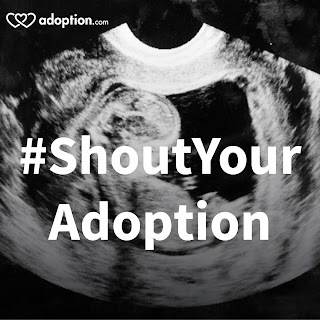 Some might wonder why it would matter to an adoptee that they do not have their original birth certificate, adoption files, or any other concrete object or documentation from their life and history pre-adoption seeing as they are reunited and can ask both their adoptive family and original family for information. Foremost: it just is. It just is something that is important to many adoptees which is what many of we activists keep trying to tell legislators et. al. The quest for our history pre-adoption is not just about reunion or about reunion at all for many adoptees. Having a solid piece of evidence that puts you at a certain place at a certain time, a time that may have thus far been a mystery to you, and being able to hold it in your hands is simply a different issue entirely. Being allowed to obtain documentation that describes your history is about equality, respect, adulthood, and self-ownership. My adoptee friend recently obtained more of her records from her adoption agency which she found very validating. During the conversation, I was thinking of things that I wish I too could have that were part of my experience pre-adoption. Like having the slightest clue of who my foster parents were, perhaps to ask them if they remembered what I was like as a baby, and see if they have any pictures. I would like to know where in the world I was for the first 4.5 months of my life. I would like to know that I did not drop off the face of the planet, that someone real loved me and took care of me. Then a lump rose in my throat when the next thought came into my head. I want my bear. Where in the world is my bear? I first found out that I was supposed to have a teddy bear pre-reunion when I unsealed my uncensored adoption file from my birth state. I remember pouring through those records and stopping at the place where an adoption worker had recorded something to the nature of "the birth mother has purchased some things she would like to go with the baby. A small stuffed bear and a few outfits." I put the papers down and telephoned my adoptive mother. I probably shocked her when the first thing out of my mouth was "hello" and "mom, do you know where my bear and outfits from my first mother are? I never knew I had a bear, did you see it? Where is it?" She told me that they were never given a bear or any outfits that were specified as being gifts from my first mother. I realize now she was caught off-guard by how devastated I seemed about a bear and clothing from nearly 25 years ago. I really was devastated. Being upset that I did not have this simple, sweet gift from my mother, a piece of her to hold while I was growing up, was not just about me. It was about my sensitivity to her as one of my mothers and how I, personally, identified as a mother. It was about how I chose every last thing that was purchased for my son before he was born with love and care. I wanted him to touch every blanket, hug every stuffed animal, look at every picture, and be surrounded by the warmth of every outfit knowing without a doubt that it all spelled out his parents' love for him. I wanted his room and our home to radiate love and warmth for our family. As a mother, I knew the thought, the love, the anguish she must have put into selecting this bear for me and with her very best effort, trying to make sure it made its way to me. I imagined the faith she had put into this bear that it would comfort me on our journey; a companion for a journey she couldn't accompany me on. I knew in the very depths of my heart that this bear had meant something to her. When my first mother had our face-to-face meeting of our reunion I worried that she would ask me about the bear. She nearly immediately asked me about the bear. She opened her bag and pulled out a small plastic bag. Sealed inside for protection from the years, was a picture of me as a newborn. It was the only picture of me that she had. Next from the bag, she pulled out a small bear. It was my bear's "twin." She had carefully selected two bears, one that I would have, and one that she would keep, so that we would always be connected no matter where we were. She always kept her bear with her and took it everywhere; she had assumed I was doing the same. I had to be honest with her and tell her that I never received my bear; it broke my heart. She seemed very unhappy at this news; I am sure I will never know how unhappy. I cannot even fathom why my agency would not give me the bear from my mother. Over the years that I have read adoption-related literature, I have come across, on many occasions, the revelation that conventional wisdom at the time said it was not appropriate for the adoptive family to accept gifts and items from the original family. Such a thing was thought to be disruptive. One source even said it was OK for adoption workers to tell the adoptee's first mother they would give an item to the adoptive parents to appease the mother. However, to actually do it was not acceptable because it was thought to be disturbing to the adoptive family to actually pass it along. Despite the fact that this was indeed probably conventional wisdom at the time, it still seems like it should have been obviously wrong. Why is it that lying in adoption isn't seen as wrong? Why didn't anyone think it was wrong to tell her they were going to pass it along and then not do it? How disturbing can a beautiful little bear be to a family who adopted and loves the little girl holding onto it? Of course, I wanted to share this with my friend at lunch but this is the one thing about my adoption that I cannot talk about with crying (something I did not want to do in the restaurant). I am unsure if not having my bear bothers me more as the child whom it was destined for but never received it or as a mother who thinks other mothers should be treated with respect and honesty. What's worse is that I am aware of how insignificant this must seem to outsiders looking in and perhaps how trivial it seems for me to be upset about, of all things, a stuffed bear. When I look around the world, at my community, the clients I see, and the faces of women in the pictures of organizations helping them, I know how small and insignificant not having my bear is in comparison. I am thankful to have what I have and that my problems aren't catastrophic as those around the world. But I cannot help how I feel; I cannot stop the tears from coming to my eyes when I think about my bear, the little baby that went without it, and the very young mother who put every hope and prayer in that bear to love, protect, and comfort me. The untruths, the lack of trust in women--the trust in my mother who felt that having this bear was what was best for me, the second-guessing of women and mothers, the disregard for adoptee truth in adoption and our society: it stings me to my core. I am reunited, I have my records and my original birth certificate. But in an inexplicable way that perhaps isn't understandable or even reasonable to most people, I want my bear. Heartbreaking story, Amanda. I'm so sorry. For you, your birthmother. For all the losses of adoption, open or closed. For all the lies, for "what's best for the child." Thank you for sharing this! Very poignant piece. I'm so sorry, of course you want your bear, such a symbolic part of your early life and what happened, a token of your mother's love and caring. I too wonder about why it is ok to lie in adoption and people who probably wouldn't dream of lying in other areas of life do it seemingly without conscience because it is thought to be in the best interests of the child, even now, today. It crushed me to know that my daughter grew up thinking I was a crack whore that left her in a dumpster..... among other things. It was worse when I realized that if they had given her the things that were hers, she would have grown up knowing she was loved. and first mothers have the same reaction when talking with other first mothers. You don't have to be defensive or explain. It is a gift. Hi Debra, nice to meet you :-) Your daughter is a lovely woman. I so hoped to get something, anything from my mother in my "non-id" adoption file. They didn't even have a file so if she left a letter, or noted anything in the comments to the SW - there is nothing now - perhaps no one bothered even to create a file - who knows. I also have a blank time in my life that can never be filled. I would be so very crushed to find out my mother sent a real object with me and it was discard/kept by the foster family that had me first or the SW couldn't be bothered. This post made me cry, and spoke very loudly to me. Even though we have an "open" adoption, there are things even L's first mom does not have (due to the nature of L's birth, which is not my story to discuss). I want L to have everything that rightfully belobgs to her (within my ability to obtain). I went on a quest to get newborn footprints for L. Last year, a week before her 3rd birthday, I walked out of a NYC hospital with those footprints, tears in my eyes. I have every single scrap of paper that exists related to her. I typed up notes about our first meeting of her first mom (L was already a few weeks old) and everything she told us. Some people think I am crazy and going overboard, but I think not so. This post just makes me sure. My God, who couldn't understand? I'm not an adoptee or a first mother ("just" donor conceived), and the bear story made me cry! How incredibly cruel, to take this away from the two of you. And how condescending and disrespectful to your adoptive parents - they're supposed to be so insecure that they'll be threatened by a bear - really?! I feel outraged for all of you! This post touches something deep inside of me. My eyes teared up reading this. I can only imagine the emotions you go through when you talk about it. I am so sorry you were never given that connection to your First Mom. I can't imagine why anybody would have thought it a good thing to keep it from you. I understand too - so much - about that comfort and ease you have with your friend. I am most me and most relaxed in the same situations. There is definitely something about just getting to "be" without explanation or worry that is truly a freeing feeling. (((Hugs))) to you and the little girl you were who never had a chance to hold her bear. OF COURSE YOU WANT YOUR BEAR. This is a powerful symbol of your mother's love and concern for you. The sole purpose of a stuffed animal is to comfort and that's just what your n-mother was trying to do by leaving it for you. I remember reading a story that 9/11 rescue workers were offered stuffed bears to help them heal from the trauma. And so many said how much they helped. 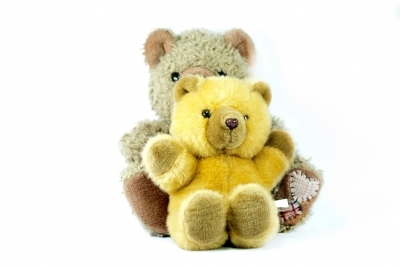 Winnicott describes the importance of the "transitional object" bears, stuffies, blankies, in a child's developmental life - it is a sacred object, that exists, in his words in the "me/not me" space that lives between a mother and a child - It should never be washed, tossed away, stolen or compromised without the child's consent. It is for the child to have abosloute dominion over, to love ruthlessley, to love aggressively to chew and teeth on an tear to pieces and make reparation to, and to help a child master the agressive aspects of love without destrucive consequences. When it is taken or disposed of a child becomes fearful that theiy themselves destroyed it. I embroidered blankets for my children while I waited for them, and matching handkerchiefs for their first mothers far away to hold - I assumed at the time that they would certainly receive them, of course, as I have woken up more to the realities of adoption I can only hope that my children and their first mothers are hold matching transitional objects - to love and chew on, and connect through. I cannot know exactly what you your loss feels like, but I grieve in my own way, for the lost transitional spaces in our family. Amanda, you can put into words so many things that I feel unable to convey. It's so true, people just don't understand and it boggles my mind as to why. Why is just wanting truth and honesty so hard to comprehend. I've been in reunion with my mother, father and siblings for about 18 months now. I've tried 3 times to get my record unsealed and get my obc. I've done everything the law asks, signed and notarized affidavits etc yet I am denied. My mom has not been able to tell me much of anything. She says she can't remember, but every once in awhile something will come out that I haven't heard before, like when she told me that she walked down to the nursery to look at me. She didn't tell me that until MONTHS after we met. I relate to nearly every post you have written, but this one made me cry. My kids both have their bears. Actually one is a lamb. My ten year old has had her bearing her bed every day of her life so far. I love that it came from foster mom Lee when she arrived here. It isvery unique like mygirl. My ygst has a lamb and a box full of old clothes her birthmom bought to clothe her in because she had hoped to keep Ainsley until the withdrawal started. I worry the kids will lose these things or break them. But they are theirs. Tangible reminders their lives began before we met. This is a powerful post. Thank you! Amanda, like you, I was in foster care. 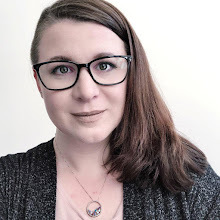 I was in for 2 months, but it is only this year when I am in my forties when I think about how long that is in the life of a baby, and I don't even know where I was. I am trying to get some help in getting my file, which I think I can be successful in. My counselor has warned me that there might not be that much in the file. Amanda, When I was in the home for unwed mothers where my parents sent me to deliver and send my firstborn into the void, we had crafts classes. In the classes I made a layette, all hand stitched, and a sock monkey. 40 years later we were talking casually on the phone, and he mentioned the time he spent in foster care and that he still had the sock monkey that the foster parents gave him. It was like a blow to me and I very quietly told him that the foster parents didn't give it to him...I had made it for him along with a complete layette of clothing. He didn't know anything about the clothes, but he still has the monkey. Watching Mr. Magorian's Wonder Emporium leaves me a weeping puddle because of the sock monkey. I know that my son is a grown man but the sock monkey returns me to the desperate woman trying to think of a way to beat the odds that were stacked against her, and trying to think of some thing that would keep her child connected to her in some minor way. Your story reminds me that it is worth it. Thank you.